Pouch packaging manufacturers have been working hard to develop and create more sustainable products, and their efforts have had an effect. Take the one-gallon plastic milk jug for example. Today, it uses considerably less plastic, and weighs 30% less than it did 20 years ago. ustainable plastic pouch packaging has proliferated the market. People are now able to recycle their plastic containers when they're done, allowing manufacturers to cut down on the amount of resources necessary to produce more goods. In fact, a 2011 study found that the overwhelming majority (94%) of Americans have access to recyclable plastic bottles. 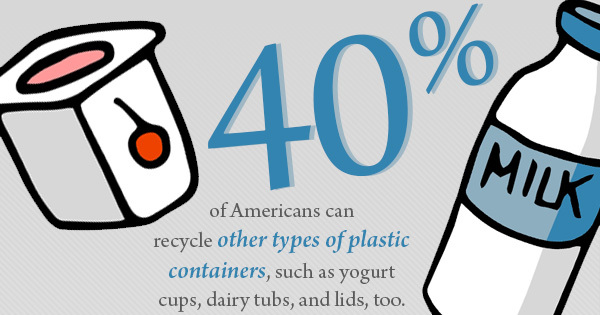 What's more, nearly half (40%) can recycle other types of plastic containers, such as yogurt cups, dairy tubs, and lids, too. Flexible pouches not only help reduce the amount of resources being consumed, but also food waste, too. You see, modern plastic food packaging, like heat-sealed wraps, helps keep food fresh and protects it from getting contaminated. Experts estimate that each pound of plastic packaging helps reduce food waste by as much as 1.7 pounds. It also only takes just one and a half pounds of flexible plastic to deliver about 10 gallons of a liquid or beverage, too. That's not all -- just two pounds of plastic can actually deliver 1,300 ounces -- about 10 gallons -- of a beverage, like juice or water. It'd take three pounds of aluminum to do the same. In order to transport equal amounts of glass jars and flexible plastic packaging, it'd actually wind up requiring about 26 truckloads and one truckload respectively. That's just how much more efficient plastic packaging is over the other, less-sustainable packaging materials. The flexible packaging market is estimated to grow from about $74 million in 2012 to nearly $100 million by 2018, and for good reason, too. Plastic packaging is more sustainable than ever. Now that it's proliferated the market, people can help reduce the amount of finite resources being consumed, as well as enjoy fresher food longer. If you'd like to know more, feel free to share in the comments.